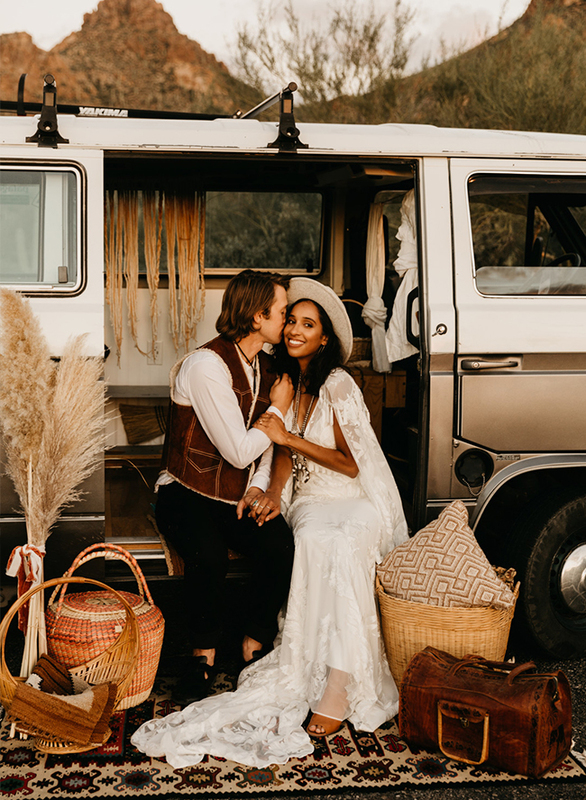 This 70s themed wedding inspiration is everything we love about the decade – and nothing we don’t Don’t worry, no neon green or mens’ flared jumpsuits here! 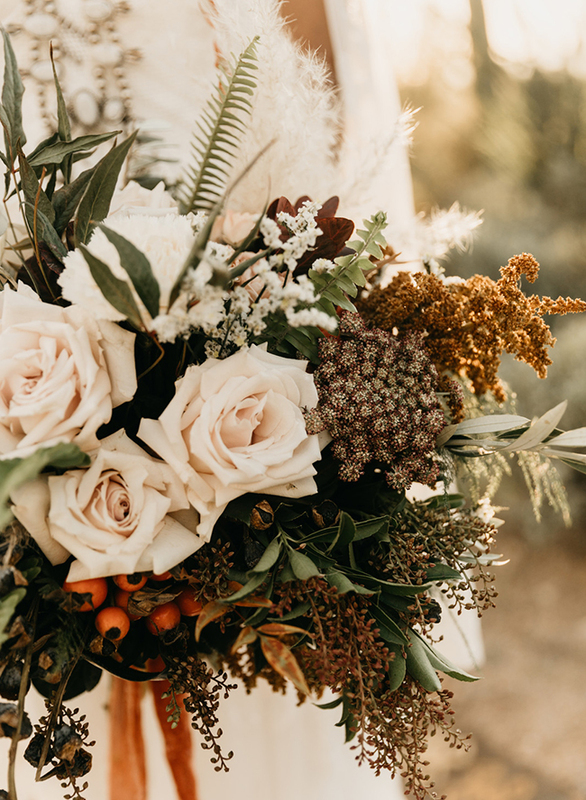 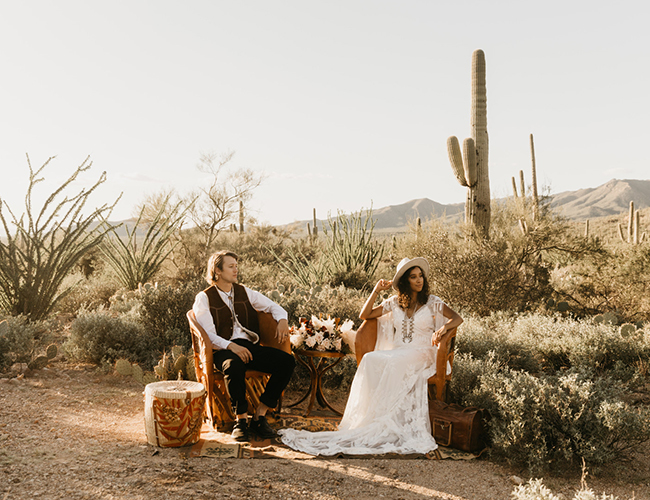 Instead, the vendor team put together a 1970s style wedding that drew its bohemian air from the era, its colors from the desert scenery, and its decor from elements of the open road. 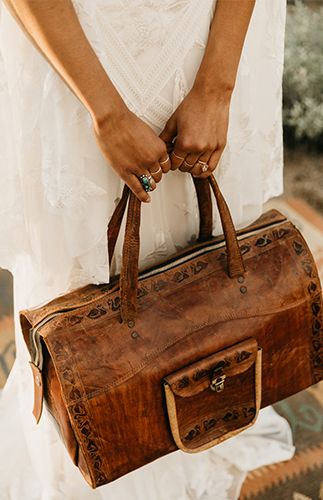 We’re talking a rad van, leather suitcases, vintage rugs, and statement jewelry. 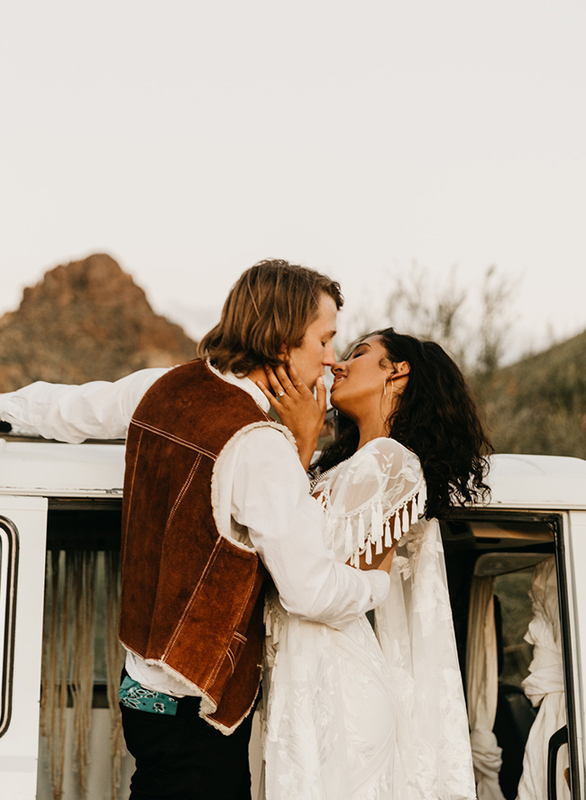 Yeah, baby. 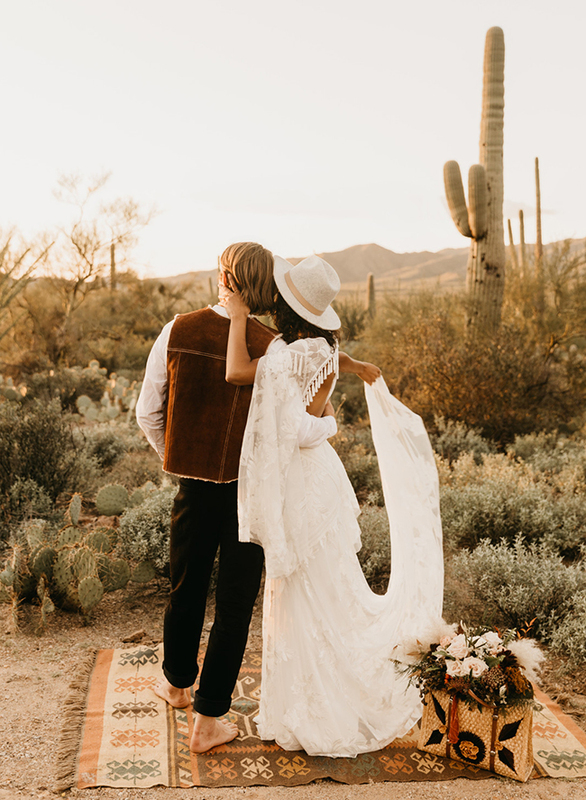 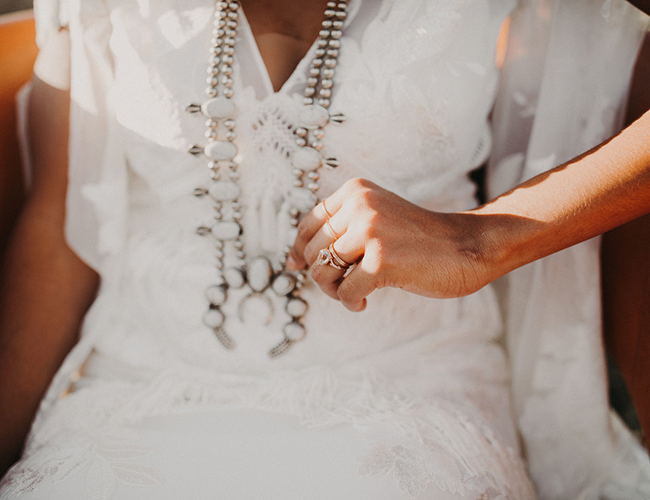 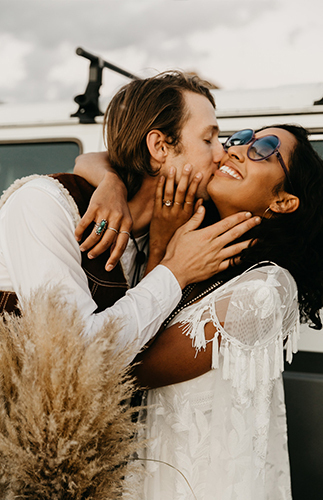 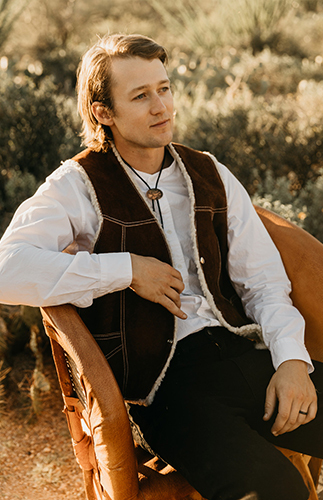 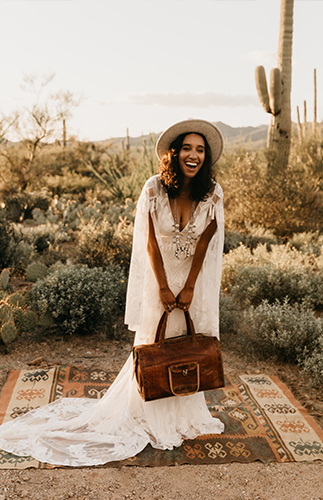 Whether you want to elope in the Arizona desert, or simply want to wear the most perfect 70s inspired wedding gown, you will love this wedding inspiration. 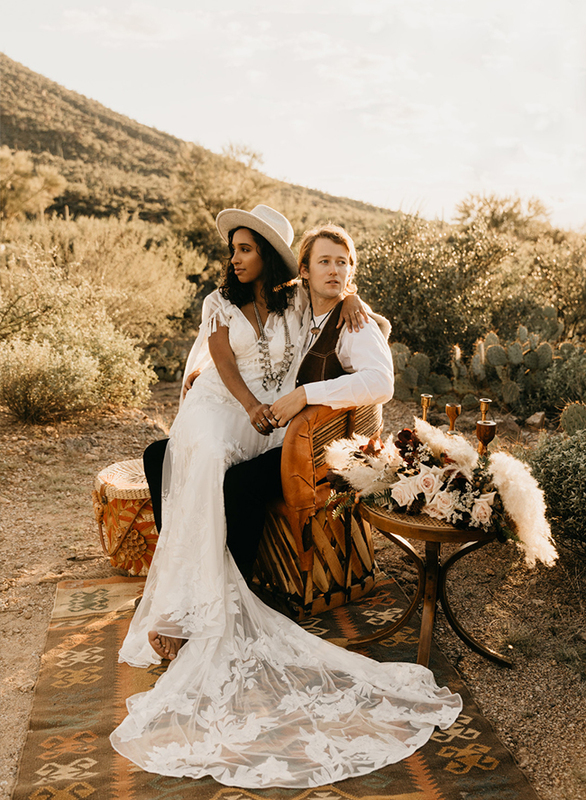 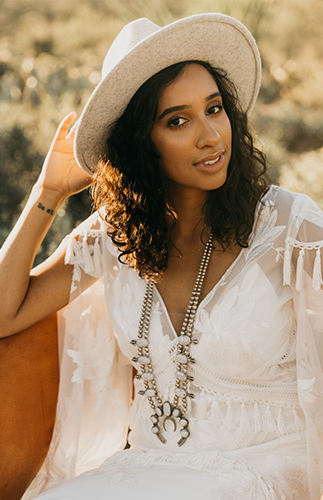 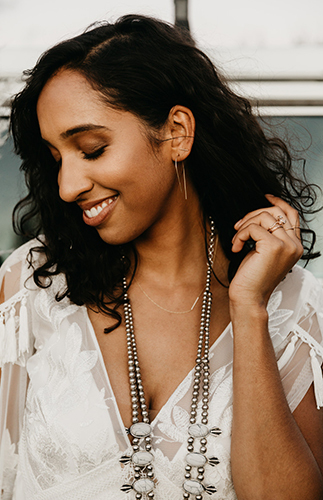 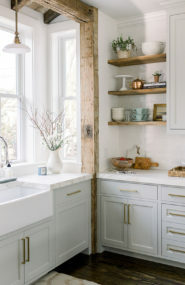 Below, photographer Jana Contreras Photography, who teamed up with Jacy Hermes Photography to capture the fabulous shoot, shares more about it! 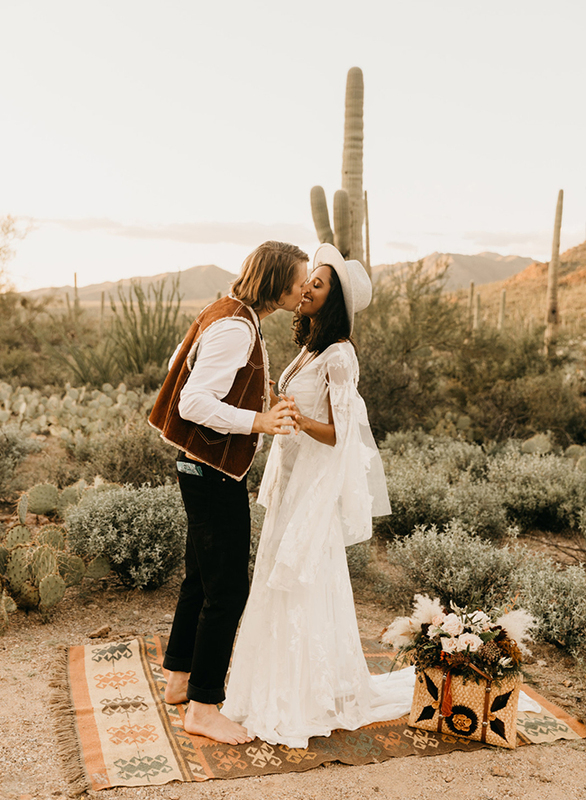 Jacy and I had a vision to put on this simple modern 70’s elopement styled shoot that focused on all the things we love: Nature, Cacti, 70’s, Diverse couples, and some new trends in the wedding world. 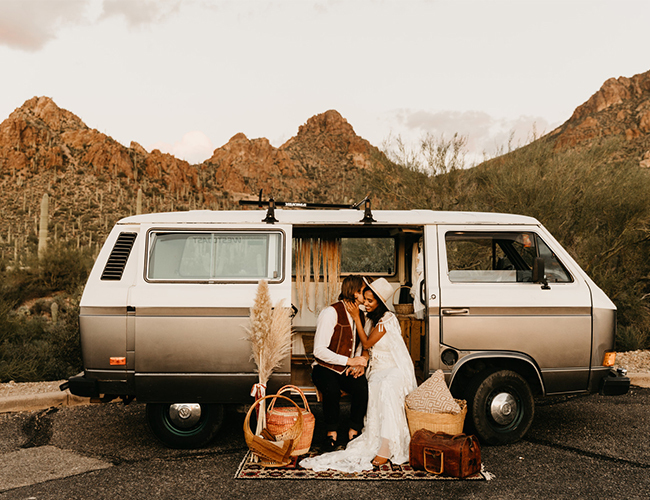 We were inspired by this couple’s love for being on the open road and used their van as the centerpiece for this shoot. 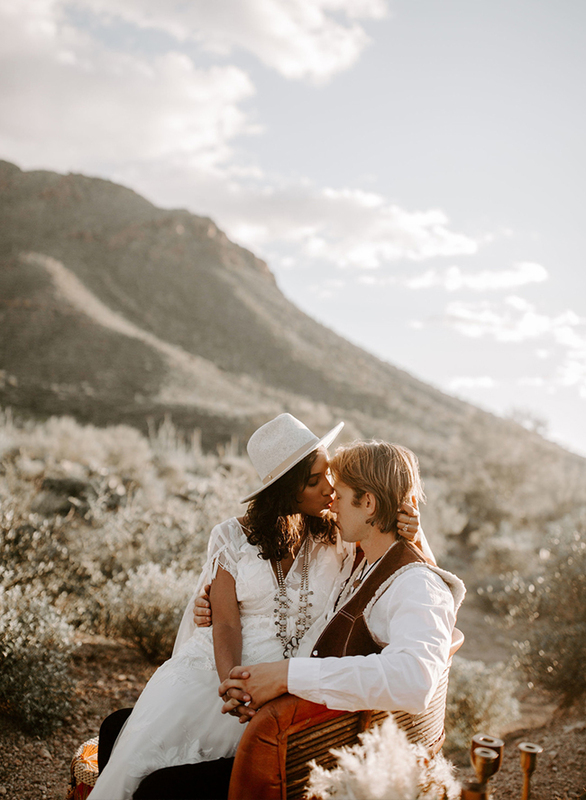 It was one amazing shoot! 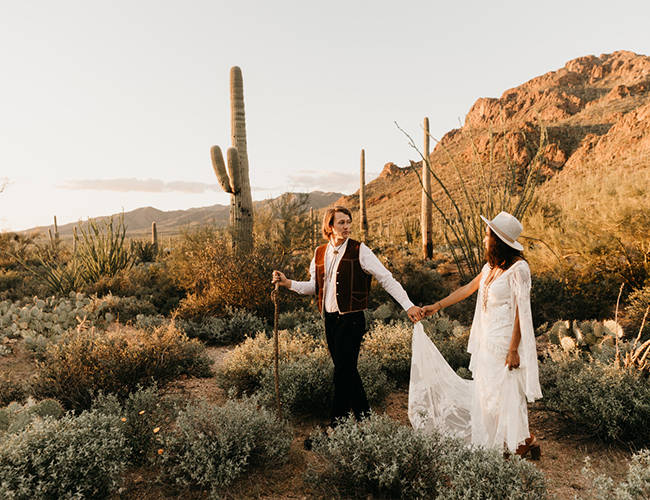 I am from California so it was a treat to fly in for this shoot and capture all of Arizona’s beauty on camera. 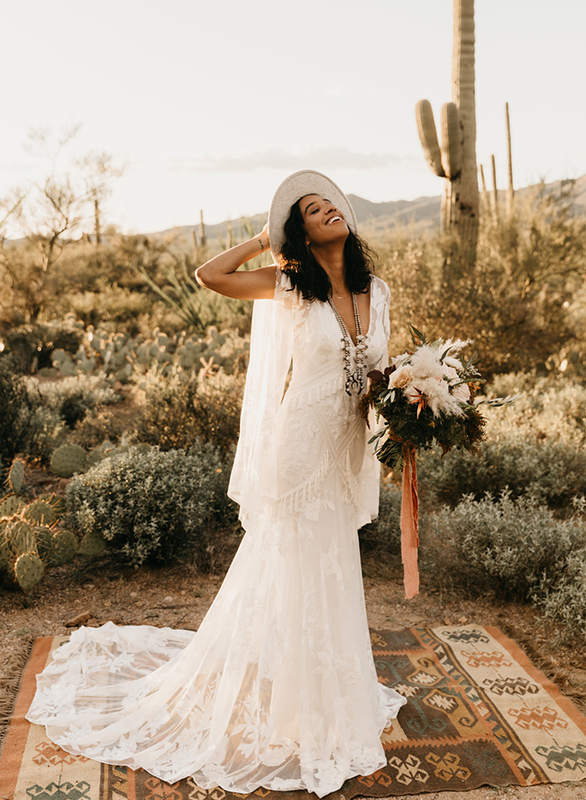 The pictures are half mine and half Jacy’s, to show brides slightly different styles. 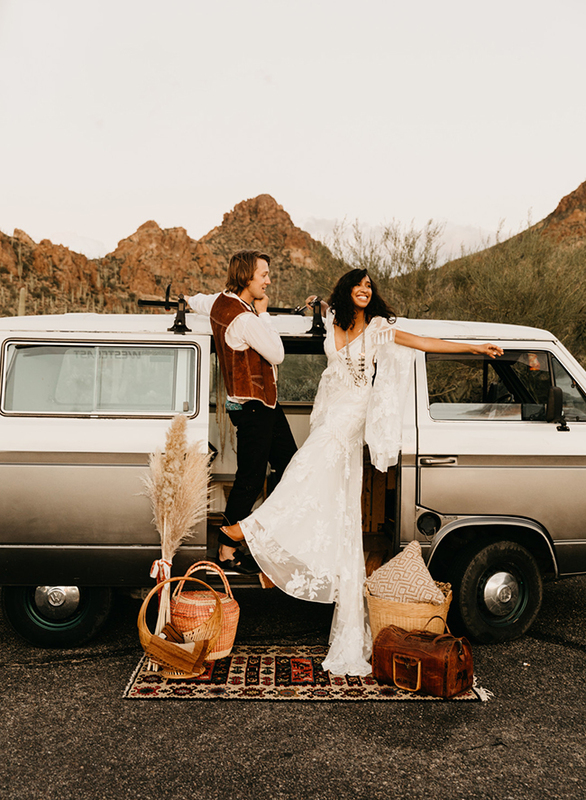 Now, that is how you have a 70s themed wedding – it is everything cool and nothing cheesy. 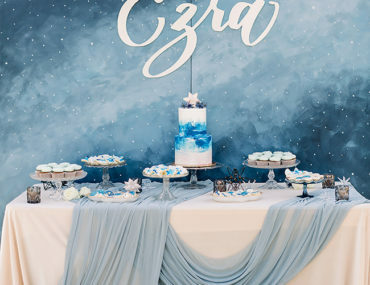 For more wedding inspiration from throughout the decades, check out this 90s bachelorette pool party and this New Year’s Eve wedding inspired by The Great Gatsby.